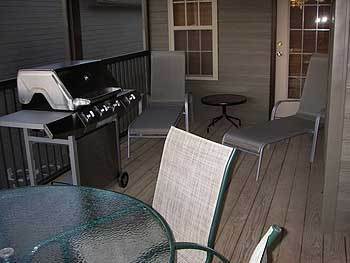 Branson Townhomes Nightly Rentals Branson, Hotel null. Limited Time Offer! Branson Townhomes Nightly Rentals. "Branson Townhomes Nightly Rentals" has 3 stars. This accommodation is a perfect base for exploring Branson West. This residence is ideally situated in the moutain. The total number of rooms featured is 4. Hot temperatures are kept outside thanks to the air conditioning. Start your day breathing in some fresh air in the private inner courtyard followed by a pleasant swim in the outdoor swimming pool. There's no chance of getting bored as the accommodation offers the opportunity of taking part in several recreational activities, like hunting, fishing, helicopter/airplane tours, mini-golf, birdwatching and parachuting, as well as diving, tennis, rafting, sailing, snorkeling, waterskiing, kayaking, horse riding and golf. Furthermore, the residence hosts a gym, a tennis court, motorboats, boats and a walking trail. You can dine at the onsite restaurant. For those who like to keep an eye on their email, there is Internet access available at no extra charge.